MOORESVILLE, N.C., July 18, 2017 /PRNewswire/ — Lowe’s introduces The UpSkill Project, a first-of-its-kind program committed to teaching do-it-yourself (DIY) skill-building and helping customers become confident, unstoppable project-doers. Through The UpSkill Project, more than 200 homeowners across 40 U.S. cities will learn skills from Lowe’s teachers and complete a DIY project, combining hands-on expertise, real-world experience and training. Lowe’s research reveals that while home improvement spending increases, attitudes toward DIY are changing as new and existing generations cite a decline in confidence to complete home projects. 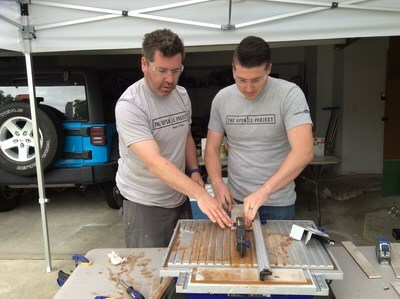 With the introduction of The UpSkill Project, Lowe’s is addressing the home improvement skills gap by empowering a new generation of project-doers by providing participants with the knowledge and skills to improve their homes and communities. The UpSkill Project focuses on the human side of home improvement – and that means getting ‘real’ and embracing the highs and lows of a project. The UpSkill Project enlists the help of both Lowe’s associates and specialized experts, including designers, general contractors, craftsmen and teachers, to help participants – known as UpSkillers – define their project, plan it, style it, purchase materials and tools, and master the skills necessary to realize it. The experts don’t do the project for them – they roll up their sleeves and teach and guide as needed. They help participants overcome obstacles by showing them failures are a normal part of the process and by instilling confidence to make the next time, the best time. Once an UpSkiller has completed the project, Lowe’s will give the homeowner an opportunity to “pay their skills forward” to their friends, family and neighbors. Aspiring DIYers in each market apply to become UpSkillers by submitting a video describing their project and skill goals. Winners are selected based on a number of criteria, including passion and excitement for learning home improvement skills. “I never thought I would be able to complete my big DIY ideas without a crew. Being able to complete the project all by myself with my roommate inspired me to take that leap and go get the materials for my next project,” said Aaron Jura, a New Orleans-based UpSkiller, after he completed a landscaping project. For more information, visit UpSkillProject.com or Open House. Lowe’s Companies, Inc. (NYSE: LOW) is a FORTUNE® 50 home improvement company serving more than 17 million customers a week in the United States, Canada and Mexico. With fiscal year 2016 sales of $65.0 billion, Lowe’s and its related businesses operate or service more than 2,365 home improvement and hardware stores and employ over 290,000 people. 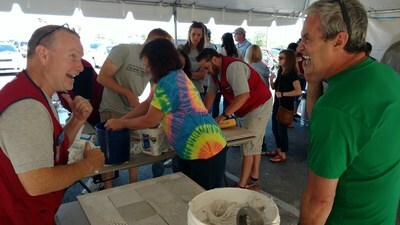 Founded in 1946 and based in Mooresville, N.C., Lowe’s supports the communities it serves through programs that focus on K-12 public education and community improvement projects. For more information, visit Lowes.com.